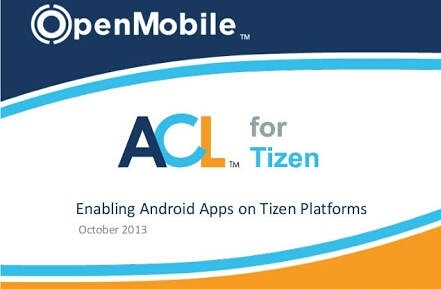 ACL for Tizen is must have tool for Tizen smartphones. It is an intermediate tool to install Android apps on Tizen. Yes, it gives us opportunity to use modified Android apps on our phone. This is mandatory app to use those apps. You can’t use such apps if you uninstall ACL for Tizen from your device. So if you accidentally removed it on your Tizen phone then you should download it again to use it. On every Tizen smartphones it comes preloaded with some supported apps. To download it go to Tizen Store and search for ACL for Tizen app or you will get it from top free apps category. Afte downloading & installing it on the device, our next move is to enable it from app setting. By default this feature is on but if not then we have to enable it to get all the benefits. Remember you must enable it otherwise its supported apps will not work. You can’t open any ACL enabled app on your device so first we need to activate it. To know how to enable ACL for Tizen on Tizen smartphone follow these simple steps. It is the first screen on your mobile, drag it upward. Now you will see all pre-installed apps of the smartphone. In the apps you will see ACL for Tizen. Tap on it. On the main screen of ACL app you will see 3 tabs, first one is Home, second is Settings & third is Apps. Here select ‘Settings’ option. In the Settings, again you will see 3 options, Enabled, On Demand & Disabled. Choose ‘Enabled’ option. That’s it, now you have successfully enabled ACL tool to use all the supported apps. In the Tizen Store many useful apps landed by the help of this tool. Some important apps are UC Browser, SHAREit, Angry Birds, MX Player and UC Mini Browser which created using ACL technology. If you are using these apps then never uninstall ACL for Tizen from your device, otherwise all the supported apps will stop to respond. You can’t even open them without this tool so be careful. Now go to Tizen Store download ACL for Tizen and follow these steps to enable it. Why can’t Tizen Store connect even though my mobile data is on? Does it work with wi-fi only? My mob. Samsang Z2 intyviras downlod kijiy & game or mp3 songs downlod ke liye saftwear uplode karen. Yes, you can download WhatsApp from Tizen Store.